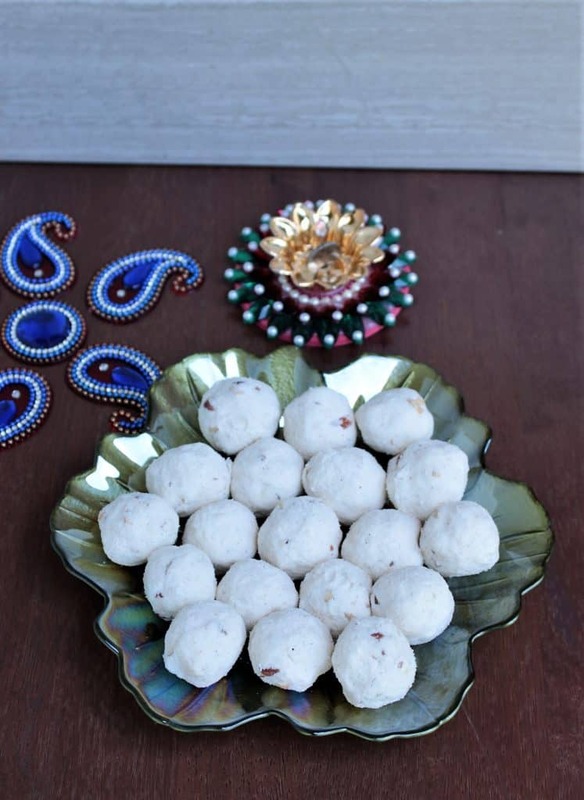 Rava Urundai or Rava Ladoo is a quick and easy traditional sweet that is loved by all. can be made in under 30 minutes. 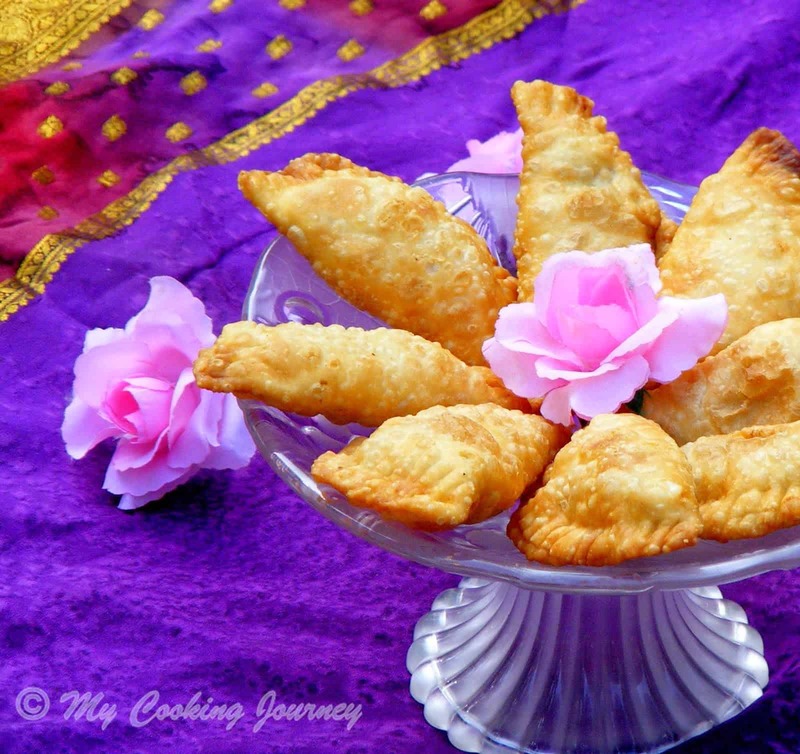 Diwali / Deepavali is around the corner and it is time to indulge in the delicious sweets and snacks. My theme for this week’s BM is very apt for the season and for the next 3 days I will be posting Diwali sweets and savories. 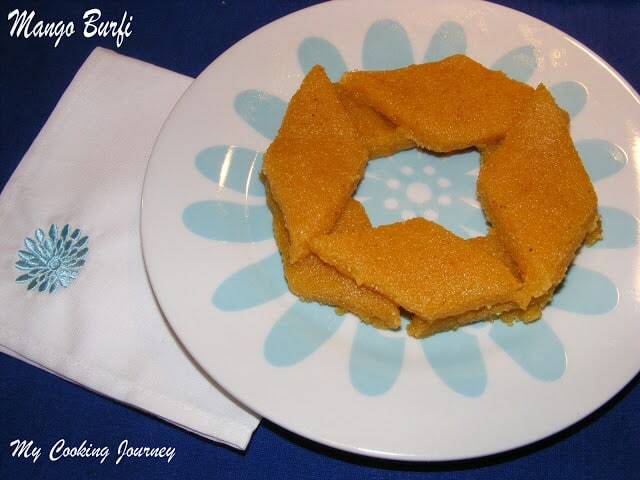 For new cooks, making sweets and savories could be a little intimidating and hence I am going to be posting recipes that are very easy to make and can be made under 30 minutes. 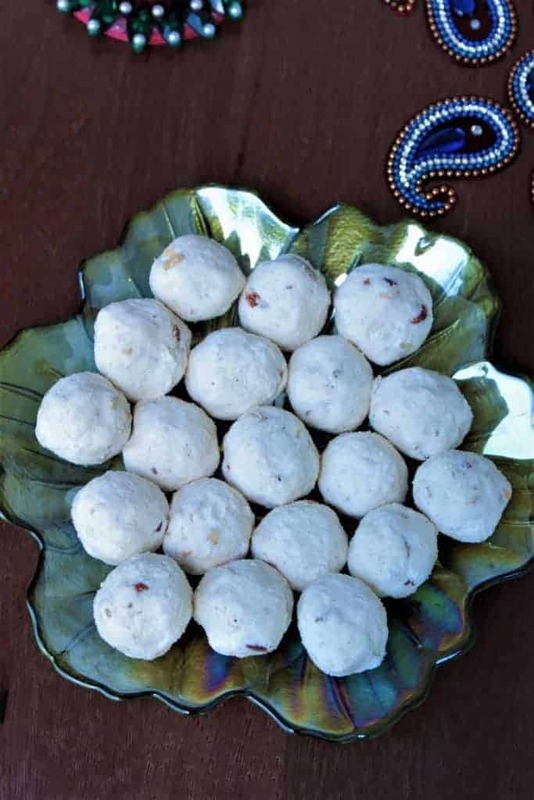 I can’t believe that I have never made Rava Urundai / Rava Ladoo before and thinking about it, I realized that I have never had the need to make them from scratch. 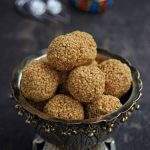 My mother would grind a large batch of the rava and sugar mixture and all I had to do every time was just add the roasted nuts and melted ghee and make ladoos. I am out of the stock and I wanted to make some when I was in India this summer, but never got to make it. So I thought, this would be a good opportunity to make the rava urundai. Grinding the rava to get that smooth texture is a challenge when grinding in the mixer. I have noticed that the spice jar, or the smaller mixer jar grinds the rava much better than the large jar. Also roasting the rava with a bit of ghee makes it easier to grind it smoother. I also feel that grinding the rava and the sugar together makes them come together way better than mixing powdered sugar to the ground rava. 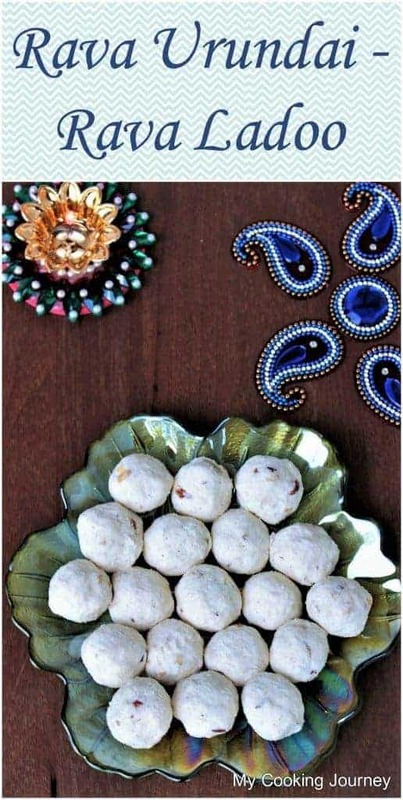 The rava – sugar mixture can be stored for a long period and then can be made into ladoo by adding the ghee whenever needed. The shelf life for this ladoo is quite long as it does not having anything perishable. 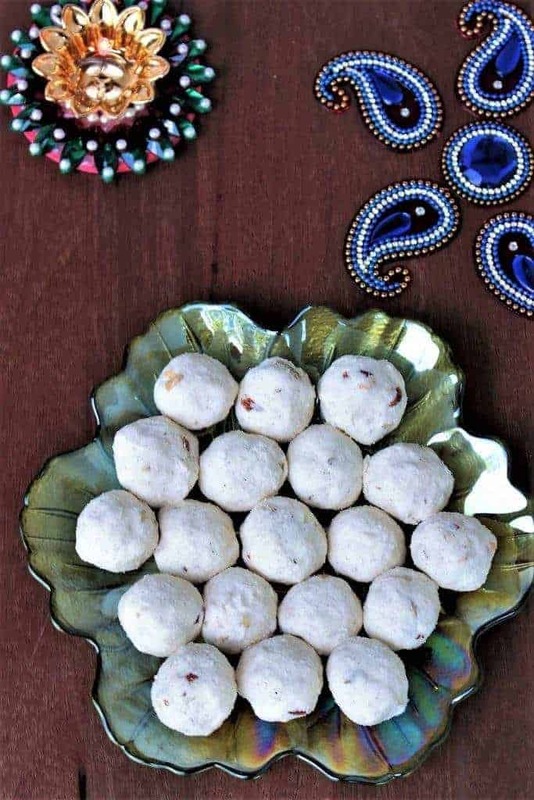 There are some recipes that call for a bit of milk to make it easier to shape the ladoo. If adding milk, the shelf life would be drastically reduced. 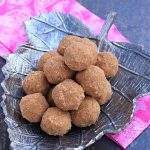 Enjoy this quick to make Rava urundai / Rava Ladoo this Diwali. 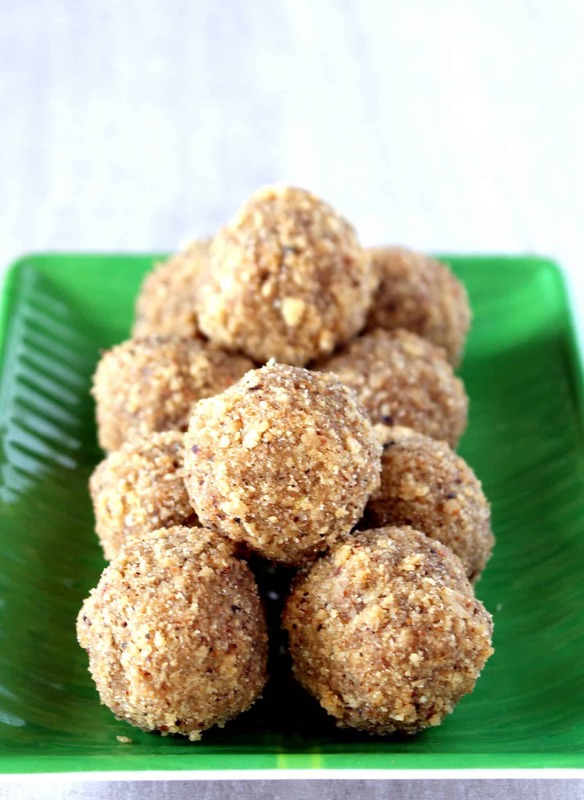 If looking for something similar, check out the Besan ki Pinni aka Besan ladoo recipe. I also have the traditional Boondi Ladoo recipe, if you want something a little more elaborate. Pardon the pictures of the Boondi Ladoo. That is one of my oldest recipe in the blog and it really needs to be rephotographed, but the recipe works great. I would make no changes to it. Heat a pan over low to medium heat with about a tsp of ghee. Add the rava to the pan and fry it until it is aromatic. Do not let the rava change color as that will change the color of the ladoo. 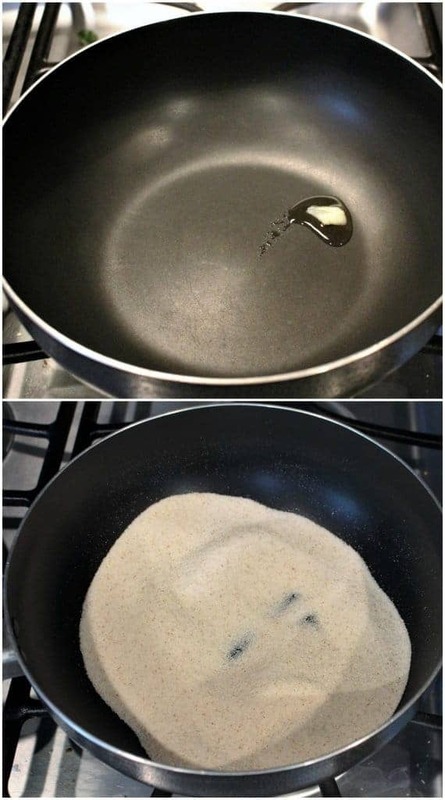 Make sure that you fry it in low heat. This takes about 5 to 6 minutes. Let the roasted rava cool down to room temperature. Transfer the cooled rava to the small mixer jar. Use the small jar as it grinds the rava much finer than the large jar. If making in large quantity, grind the rava in batches. I ground mine in 2 batch. Run the mixer for about a minute or until the rava is ground to finer texture. Now add the granulated sugar to the jar, along with the rava and grind it further to make it into as fine powder as you can. I added 1/2 cup of sugar as I ground my rava in 2 batches. You will find that the rava and the sugar are well incorporated at this stage. Transfer the content of the jar to a wide bowl and then repeat with the rest of the rava and sugar. 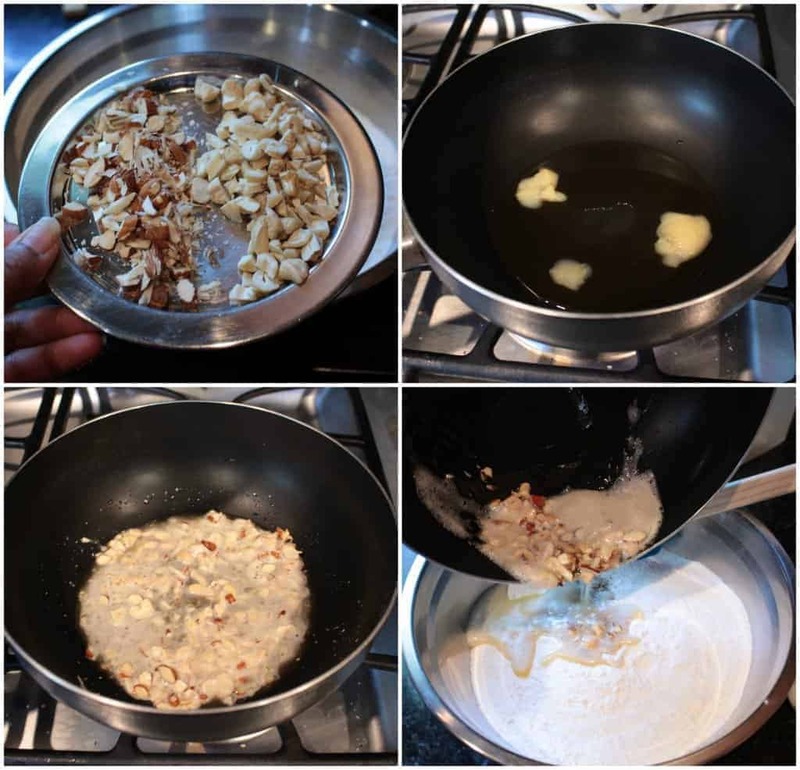 Heat ghee / nei in a pan and add the chopped nuts. Let the nuts brown in low flame and then add it to the ground rava mixture. Add the cardamom powder and mix with a spoon until it is warm enough to handle by hand. 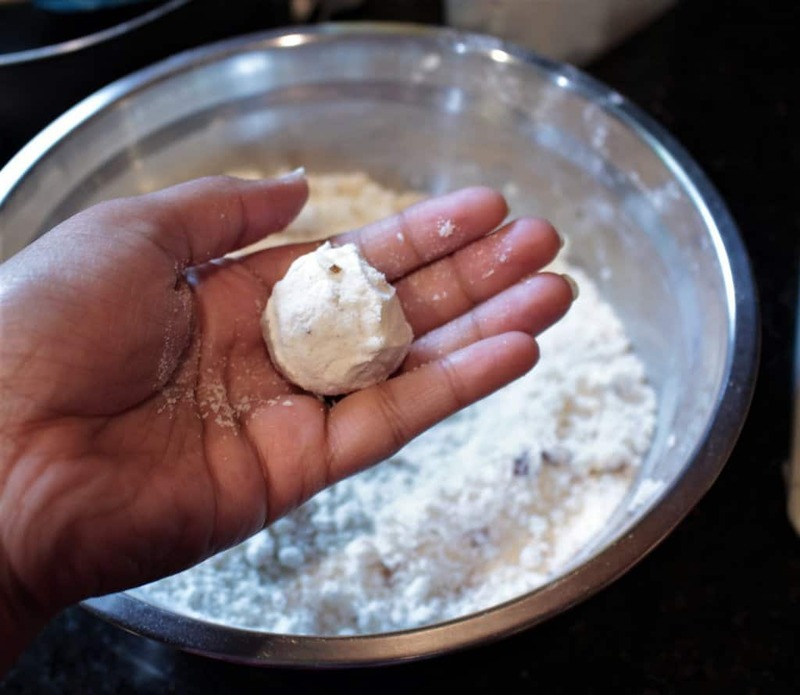 Try making ladoos and if they are too crumbly add a little bit more of melted ghee. Too much ghee will make the ladoos appear too greasy. When you press together a lump of rava mixture and it stays together as a lump, that is the right texture. 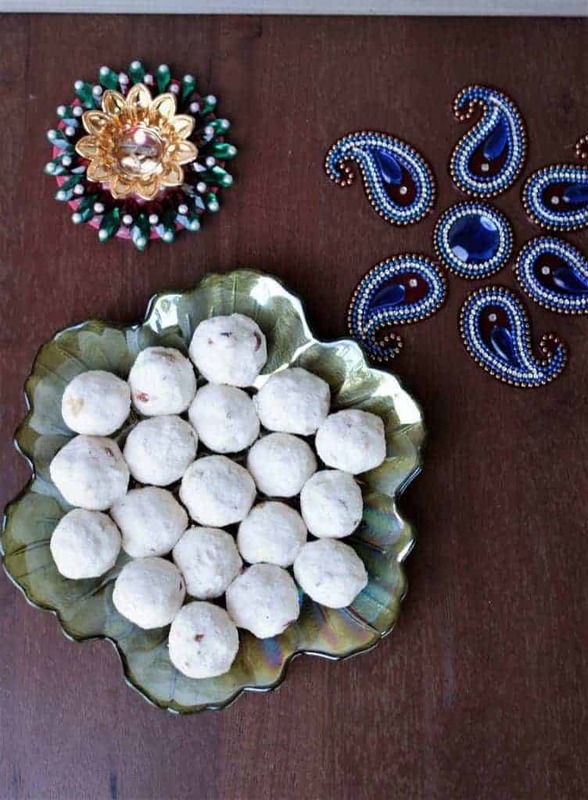 Form tight ladoos with the rava mixture and let it cool down entirely before storing it in an airtight container. I made about 22 rava urundai / rava ladoo with the measurement above. 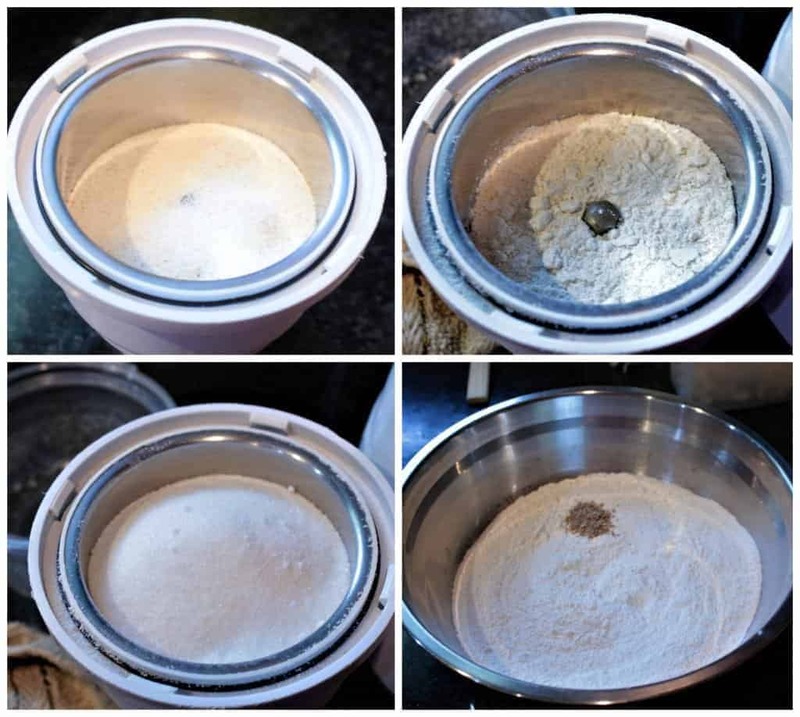 If you live in a place where you have access to a grain mill, then fry the rava and mix it with the granulated sugar and get it ground in the mill. You could store this mixture for a long time and make rava urundai / rava ladoo whenever you need. Start with lower quantity of ghee and then add more if needed. If grinding at home, use the small jar / masala jar of the mixer. The larger jar just does not grind as well as the small one. Grind the rava in batches with the sugar needed. I ground mine in 2 batches. Good to see you back in action Sandhya..Rava Laddo is my favorite one and Amma always makes this for Diwali..we don’t grind the Rava, instead, have it as such…that tastes awesome too.. Thanks Valli! Our family always makes it very smooth. So good to know the differences. Good to see you Sandhya. 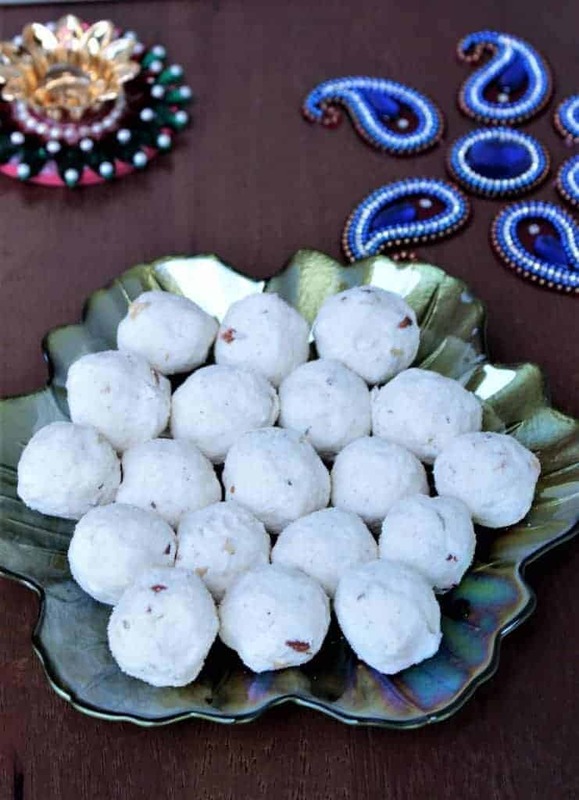 Rava ladoo is yummy treat for any occasion. We never grind the rava so must try a small batch. Thanks Archana! That’s interesting because I thought it was a sin not to grind. Try the smooth version sometime. They melt in your mouth. Happy to run BM after a while with you Sandhya, and you are here with my favourite laddoo, and my grandmom’s signature dish is this rava ladoo, makes me nostalgic. Thanks Priya! Grandmother’s make the best ones and I so miss it. Do give it a try Ritu. It is very quick. I’ve not made ladoos with rava. Yours look so tempting. I think I’ll make them for this Diwali. Thanks Mayuri. Do give it a try. I’ve never heard of these before, but I’ve had something similar. I really love how easy these are to make. They are ready in no time to enjoy! I agree Joanna! This is a very simple recipe but very flavorful. I’ve never tried anything like this but I wish I could grab one through my screen right now! These sound delightful. I have eaten these before but never tried them with ground rava. 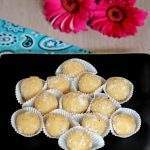 I am planning to make rava ladoos, will try a small batch with your recipe. Varada, we always make it ground and I have not eaten it the other way around. That should be even more simpler to make. I am all about trying new things. That is the beauty of cooking at home. You can taste the flavours of the world without leaving home. These sound delicious, and I know I would have trouble not eating just one. Gloria, the attitude to accept new flavors is what makes us the food blogger, right? Love trying recipes from other cuisines. Food is what connects every individual in the world. These look so cute and yummy! I’m always looking to try out new desserts! I have never had these before, but they sound so good!! Your photos are wonderful! I never had this delicious sweet treat but it sounds fantastic. I love all the detailed and your step by step photos. It makes it so easy to make! Thank you!! Thanks kathy! 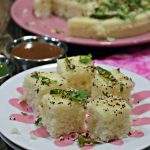 Next to videos, I think the step by step helps viewers better understand new cuisines. My fav..For almost all the festivals i prepare rava ladoo. simple but yummy.. I have not eaten Rava ladoo in years. My grand mom use to make them and they would be a big hit with all of us grand kids. I must try this soon. I love things with rava so this will be a big treat. Yum. This is such a classic recipe and so easy to make. I love family recipes for the memories it brings with it. This is new to me and I love finding recipes I have not tried before. What a treat. These look delicious. Like my Grandma’s recipe for Russian Tea Cakes. I could go for one now! Family recipes are the best and brings back so many memories with them. It is a simple one to make and has a great shelf life. They look delicious and they certainly seem like they are easy enough to make. I really enjoy sampling cuisines from other countries — making it at home is a good way to taste and see your preferences. Could you give me a clue to what rava is? A nut? A fruit? Is it sweet? I am really curious! Thanks a lot Marisa. Rava is semolina. We could use the cream of wheat as well. The Indian stores do carry the semolina in different texture. So I’ve never tried these, but they look SO delicious! Oh my goodness. I think that my husband would really love them, too. Can’t wait to try them out! Thanks a lot! Do let me know if you try them. I would love to have you over for dinner! It is very fascinating to learn about other cuisines and guess that’s what brings the best out of us as a food blogger. One of the easiest and quickest sweet to make! 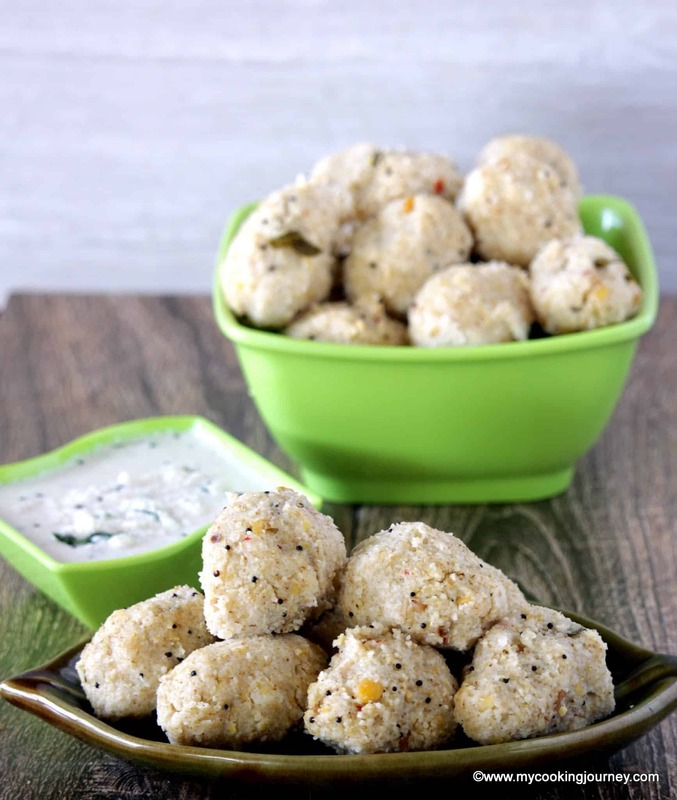 Welove this ladoo so much and a definite include in our Diwali list! It is used to be a norm in our house too when I was growing up Priya! I’ve been meaning to make these for ages. I’ve had them before and just loved them. I like your rava laddu as it doesn’t have any milk it can be stored long time. My grandma used make it. this is one of the easy dessert for deepavali. lovely ladoos there sandhya. I use the tiniest version of rava (aka chiroti rava) so have never ground the rava after roasting it. and yes no milk too at my place – just the ghee, rava, sugar with nuts + cardamom !